i-manager’s Journal on Embedded systems presents a field of engineering interconnected with Electrical, Electronics and Computer science which addresses the systematic design of embedded systems, focusing primarily on tools, methodologies and architectures for embedded systems, including HW/SW co-design, simulation and modeling approaches, synthesis techniques, architectures and design exploration, among others. 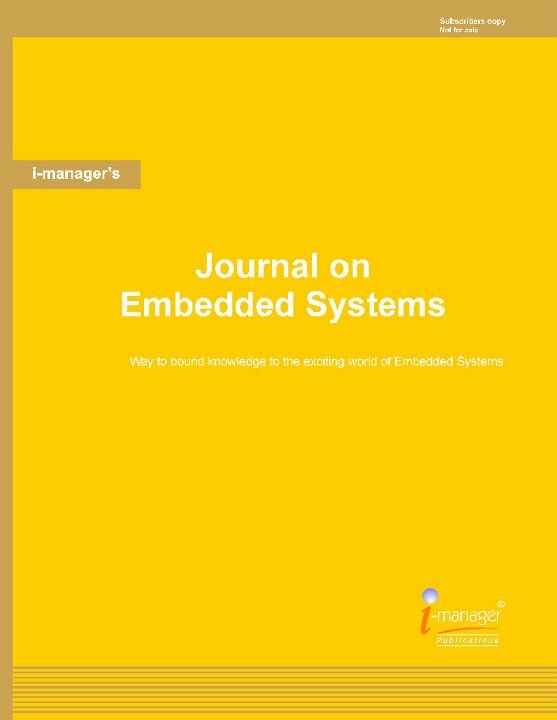 The Journal aims to focus on high quality papers from academia and practitioners in all areas of embedded systems by ensuring its scientific priority and significance. The Journal follows a double blind peer-review process. The submitted articles / research papers are reviewed by Professors/ Educators of Embedded Systems. Academicians, practitioners and post-graduate students of Electrical & Electronics Engineering and Computer Science, University Educational Bodies, Researchers, leading Corporate etc.